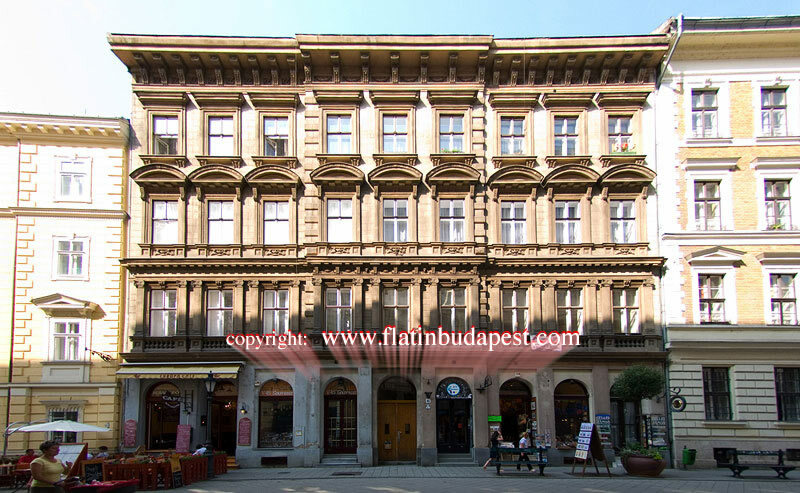 Externally the building presents itself in an ancient style of the end of '800, and positioned right on the "Vaci Utca" a few dozen meters from numerous establishments frequented by writers and artists of the last century. 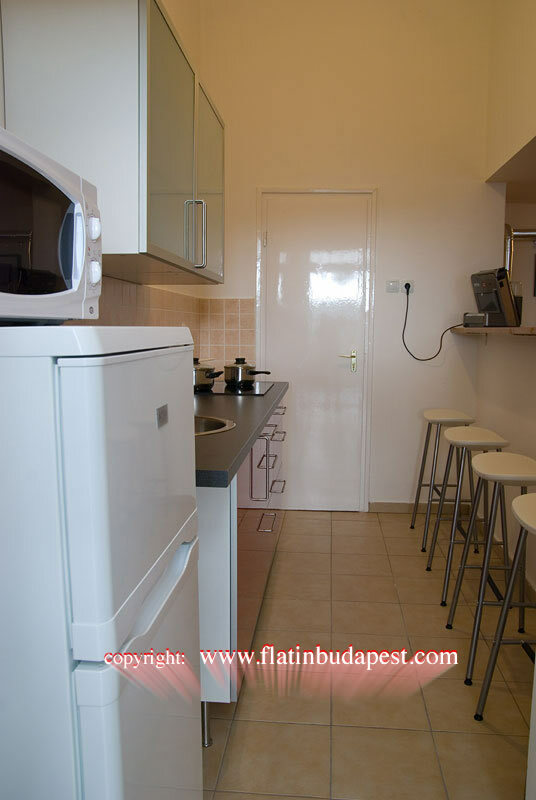 The apartment is located 250 mt. from the underground stop Vorosmarty Ter, and 250 meters from the stop "FERENCIEK TER", ideal for quick and cheap trips. The apartment windows look out into the quiet and green courtyard. 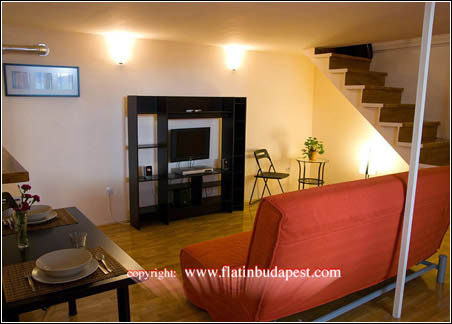 Hazard a slogan we say "an apartment in the quiet heart of Budapest". 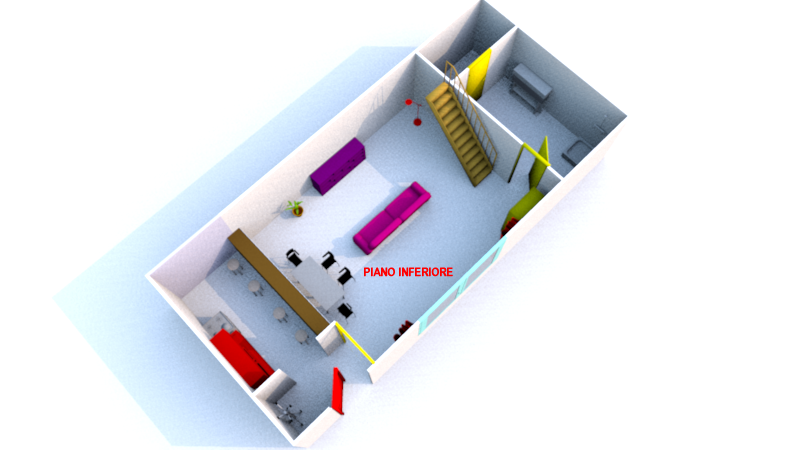 The apartment consists of a 35 sqm. 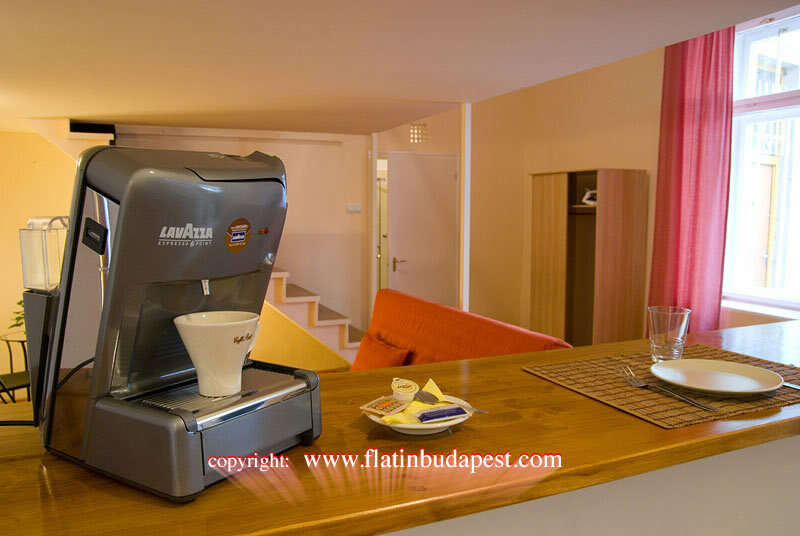 living room with double sofa bed, open-space kitchen with American bar and 4 stools, table for 4 people with 4 chairs, bathroom with shower and a mezzanine floor completely walkable with a work area and a double bed with wardrobe. 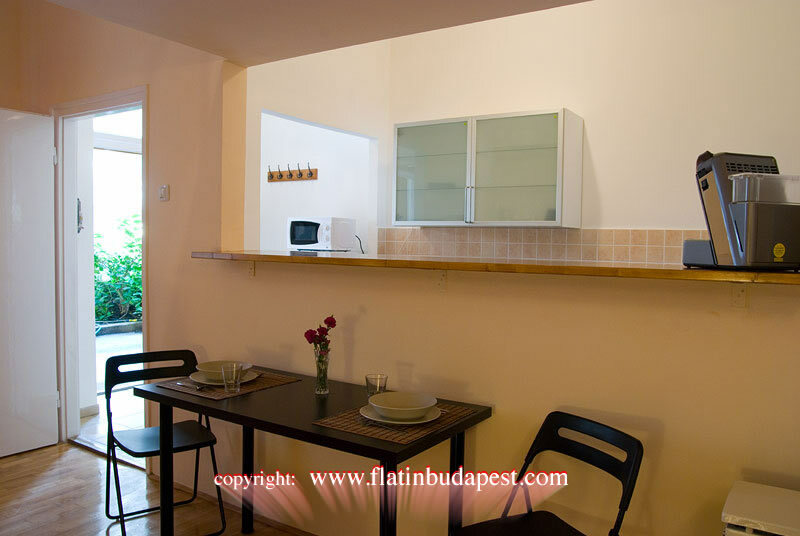 Recently refurbished and equipped with large windows, the apartment enjoys good brightness and airy. It is warm in winter thanks to the heating system and cool in summer thanks to the thick walls. 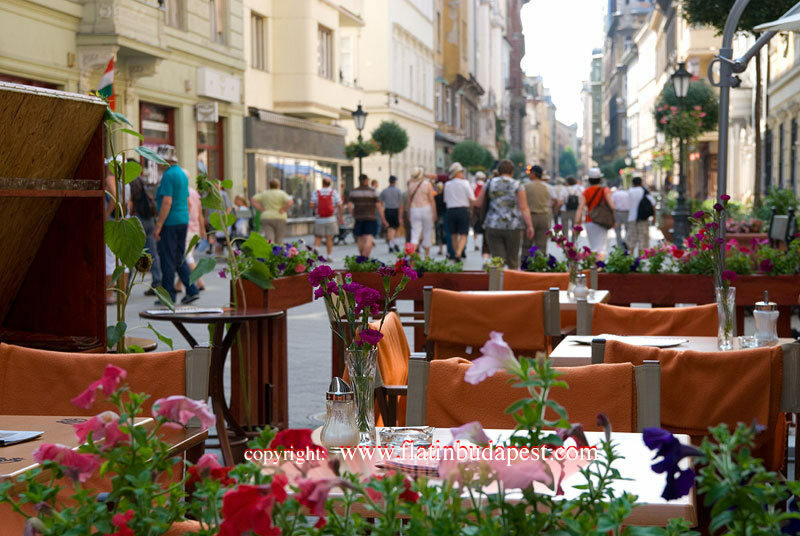 Located in the historical center of Budapest on the Vaci Utca, a pedestrian island, the apartment is located between St. Stephen's Basilicaand the Chain Bridge, between the underg station Vorosmarty Ter (red line), and the stop "FERENCIEK TER". 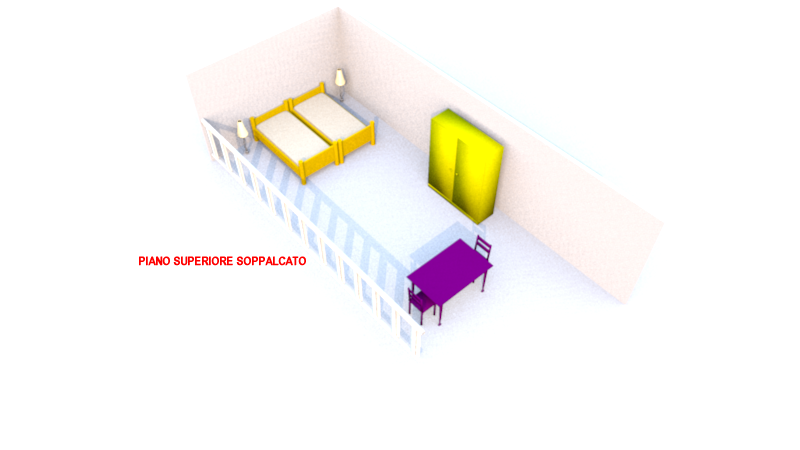 There are a total of 4 bed places (2 double bed, one can be divided into two single, depending on the need). 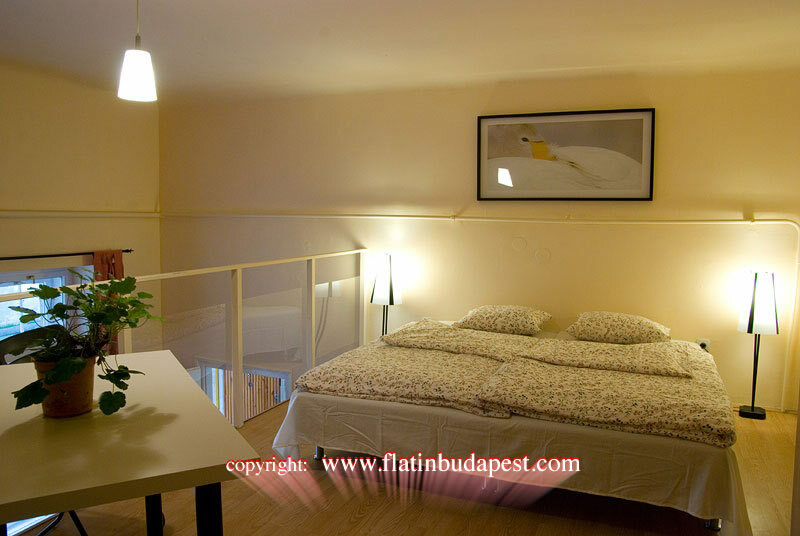 The apartment is finished with curtains and wooden floors. The windows have the characteristic of being double (internal and external window box), thereby ensuring excellent soundproofing to the outside. The apartment is very quiet because overlooks the internal cloister.